Oh, NARS. You've done it again, haven't you? You've made me fall madly, deeply, passionately in love with your newest nail polishes. I don't know how you continue to do it, but there you have it ... I'm smitten beyond measure. Fury is a rich, deep eggplant purple. This color went on so well that I only needed one coat for full coverage! I had a bit of trouble with the polish at the sides of the nail, and it was a bit tough to remove since the color is so dark. But I do like this one -- definitely the perfect color for fall. Galathee is a creamy dove grey. This one needed two coats for full opacity -- the first was just a bit streaky and uneven. I like that it really is grey and opaque -- it doesn't lean white and it really covers the nail. It would definitely fit in well with the dove grey nail polishes I reviewed last year! 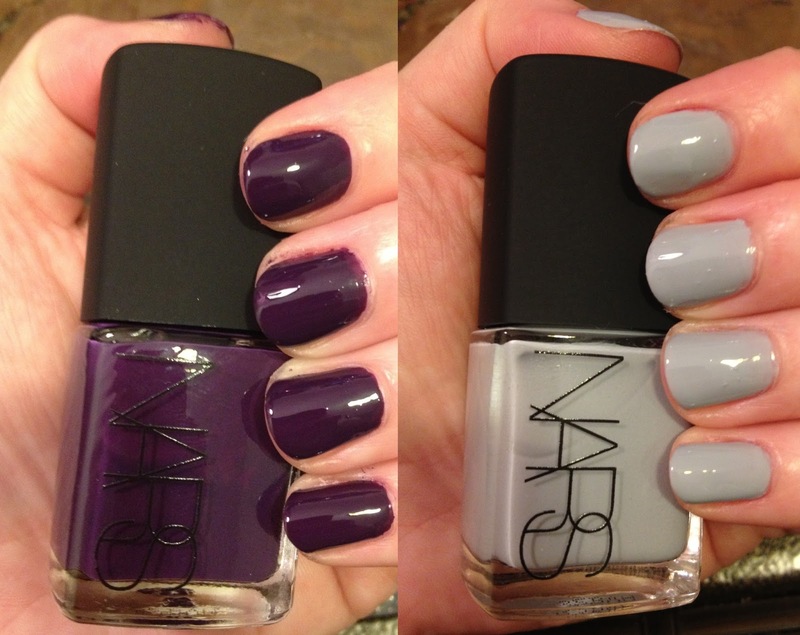 Overall, I really like these two polishes. They both apply evenly with no streaks and yield beautiful, even color. I think Fury is a bit more original of a color than Galathee, but they're both definitely worth owning if you love NARS and love to collect their nail polishes as much as I do! NARS Fury and Galathee nail polishes retail for $19 each. They're limited edition and available at narscosmetics.com.